During travels, we are often asked to present our passport, air ticket or boarding pass, at many points before getting on the plane. 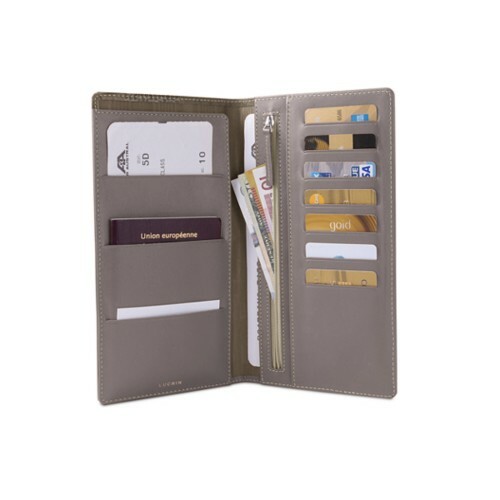 With our luxury travel wallets, you will be able to keep everything safely in a single place: your boarding passes, passport, loyalty cards, VIP/Lounge access cards, and so on. 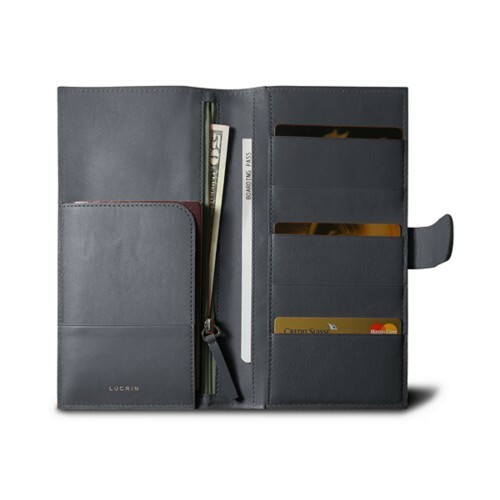 Our leather travel pouches are really practical come the end of your travel or when checking out of the hotel, as you will be able to find all your relevant documents in one elegant accessory. 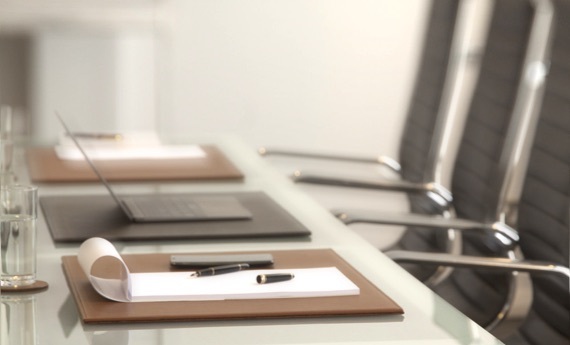 You will thus be better prepared for your next trip. 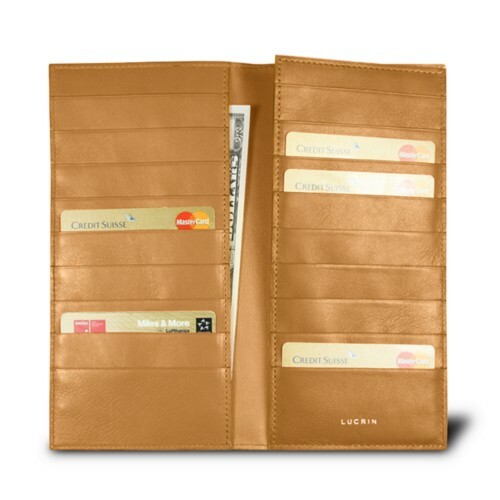 Many of our customers use these travel wallets as daily companion, as clutch or purse. 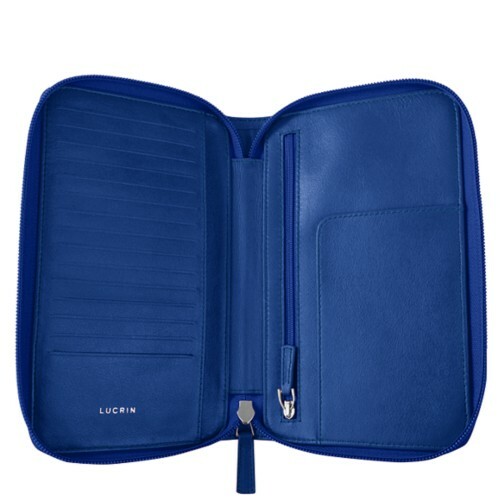 You may even customise the product with your initials or your name.